Get the benefits of alkaline minerals that others leave out! LIFE’s 6 stage system uses cutting edge technology to filter water for drinking, cooking and other household uses, and then our patent-pending Ceramic Alkalizing Media® adds beneficial minerals that reverse osmosis strips out! 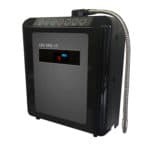 Purchase with a LIFE Ionizer and your cost is only $399! Call now! From Arsenic to Zinc, and almost everything in-between. 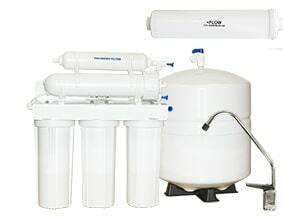 With our customized filtration promise you can be sure that you and your family are drinking the cleanest, healthiest water possible. For full lab results on our Super Filters you can view the report here. 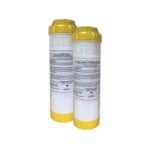 All internal filters are designed to snap into place securely and easily. 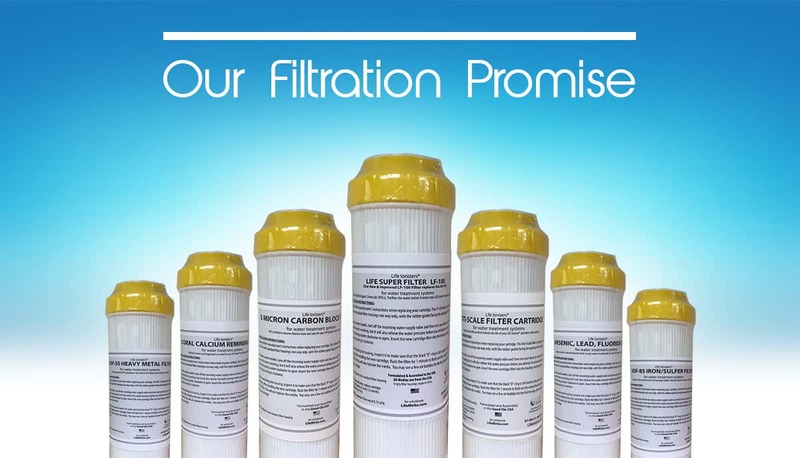 Pre-filters will require pre-filter housing. If you have any questions or concerns about installation, please visit our Support Page. Every year, your local water authority sends a report to the EPA that lists the toxins they found in your local water supply. This report tells you what toxins were found, and how much. The report also lists any toxins that were found to be at levels higher than permitted or recommended by the EPA. When you buy a Life Ionizer, we pull that annual water quality reportand find out what toxins are found in your water. 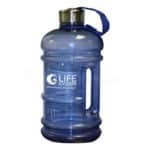 Life then sets up a pre-filter system with the correct filter(s) to target the toxins in your water. Some cities, such as San Francisco, are lucky. They have great water quality. Other places aren’t so lucky, in a city like Pensacola Florida, Life would configure an ionizer there with a very comprehensive filtration system such as the Life Super Filter. If you want the fluoride filtered out of your water, Life has filters for that too.